Should You Take Time Off Work After a Car Accident? 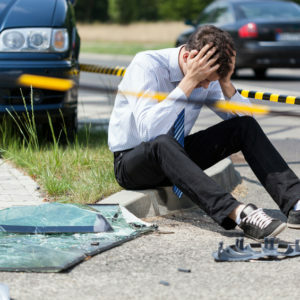 A car accident of any degree of severity can throw your life off track, and dealing with its aftermath can seem like a full-time job in itself. Before you make any major decisions, consider talking to a car accident lawyer. An experienced attorney can address all of your questions, like whether taking time off from work after the crash might affect your claim or compensation. It’s usually not a good idea to return to work immediately after an accident, especially if you haven’t seen a doctor yet. You may have injuries that you aren’t aware of. During an accident, your body releases a surge of adrenaline that can mask the symptoms of injuries, some of which may be serious. Another consideration is that some injuries are not evident until a day or two after the accident. One common example is whiplash, which might develop as late as 72 hours after the crash.Because of the potential for late-onset symptoms and slow-developing injuries, you should receive a full medical evaluation before considering going back to work. You’ll also need to see a doctor to substantiate your legal claim. If you need to have medical bills reimbursed by the insurance company, or if you need to file a personal injury lawsuit, you’ll need those medical records to document your losses. You should always follow your doctor’s advice in the wake of an accident. You should also get that advice in written form. If your doctor suggests that you take time off work, ask her to write a note to that effect. Even if your employer doesn’t require a doctor’s note, you may need that written documentation to substantiate your legal claim.Too many accident victims try to return to work too soon after being injured. They might worry about the burden placed on their co-workers or they may be concerned about the lost wages. But it’s not a good idea to return to work before you’re medically cleared to do so, especially if you have a physically demanding job. This could only slow your recovery. It may even worsen your injuries, which could complicate your legal claim. Keep track of the number of days you’re out of work. Your personal injury lawyer can add your lost wages to your compensation demand. You might be using up sick days or vacation days to recover from your car crash injuries, and you may still be entitled to receive compensation for them. The value of each sick day or vacation day is one full day’s wages. Let your lawyer know about the logistics of your time off, and he’ll do everything possible to help you recover compensation for those lost days. Thousands of car accidents occur in the U.S. every year, but no two car accident survivors are alike. After a crash, you need personalized legal guidance you can count on. You can turn to Sean Salamati, an accomplished car accident lawyer in Los Angeles. At the Salamati Law Firm, you’ll receive the personalized client care and the informed guidance you need to put your life back together after your accident. Call (213) 372-0218 or email [email protected] to request your confidential consultation.